It is with great sadness that Swimming New Zealand mourns the passing of former National Coach and High-Performance Manager, Jan Cameron who passed away suddenly in the early hours of Monday 30 April 2018 at her home aged 70. Jan was appointed Swimming New Zealand’s National Head Coach in 2001 and coached many of New Zealand representatives such as Dean Kent, Hannah Mclean, Helen Norfolk, her son Scott Talbot-Cameron, Andy McMillan, Melissa Ingram, Cameron Gibson, Liz Coster, Alison Fitch, Nick Sheeran, Glenn Snyders, Steve Ferguson, Monique Robins, Corney Swanepoel and Moss Burmester to various Olympics, World Championships and Commonwealth Games. In November 2008 Jan shifted from the role of National Coach to General Manager of Performance and Pathways and became the driving force behind Swimming New Zealand’s first recognised high performance programme based at Millennium Institute of Sport & Health. Jan resigned from Swimming New Zealand in 2011 and moved to Australia where she continued to be actively involved in swimming working as Head Coach for Swimming Australia’s Paralympic programme before being appointed as Paralympics Mentor Coach Australia-wide. As a swimmer, Jan won a silver medal representing Australia at the 1964 Tokyo Olympic Games in the 4x100m freestyle relay alongside Dawn Fraser and followed that with three medals at the 1966 Commonwealth Games. 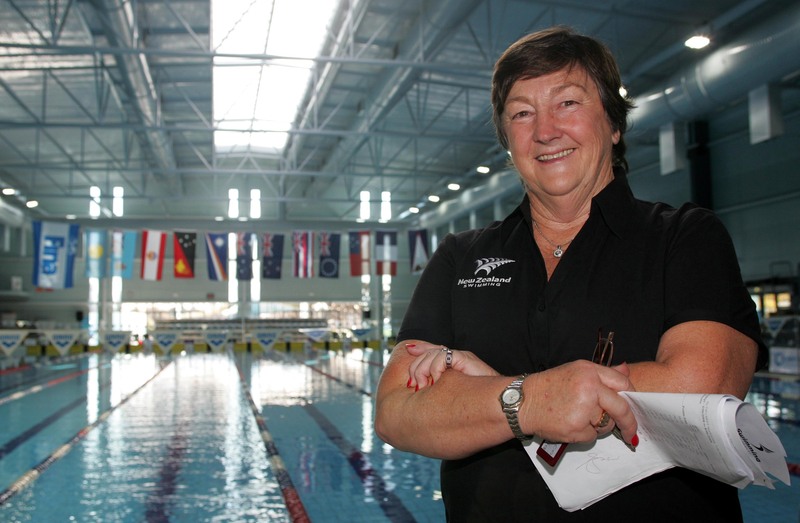 Jan’s coaching career began in 1968 in New South Wales followed by coaching stints in Canada and the USA before moving to New Zealand in 1991 where she began working as Head Coach for hugely successful North Shore Swimming Club where she is credited with turning the club into a New Zealand swimming stronghold. In 2015 Jan became only the third woman in Australia to receive swimming’s highest coaching accolade, the Platinum Coaching License. The award recognises individuals who have coached athletes to medal-winning performances at the Olympics or World Championships, and who have displayed ongoing commitment and service to the sport at an international level. Swimming New Zealand CEO Steve Johns paid tribute to Jan saying, “there is no doubt that Jan has played a highly successful role in swimming in New Zealand as an incredibly successful coach at the North Shore Swimming Club and then as part of the Swimming New Zealand high performance team”. “Our thoughts and prayers are with Kevin, Scott and their families during this very difficult time”.